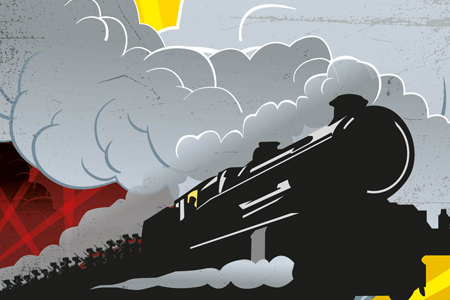 Railways played an essential logistical part on the battle fields of Europe and the Middle East during the First World War, and at home in support of the far-away conflict. From recruitment trains that arrived at stations in country town across Australia, to the troop trains transporting soldiers and nurses to their point of departure, train-side farewells were felt in every state and territory of Australia. In the theatre of war, the hard work, stoicism and sheer courage of men operating railways in adverse conditions on the front exemplified the fighting spirit and camaraderie of Australians.